This is a quality British-made product to the same specification that you get on golf courses. The backsaver design is perfect for removing balls from the cup with the minimum amount of effort. This premium pack includes a traditional twist action holecutter so that you can get a quality finish to your holecups. Perfect for practice greens at golf clubs or in your home garden. Perfect gift for the avid golfer. 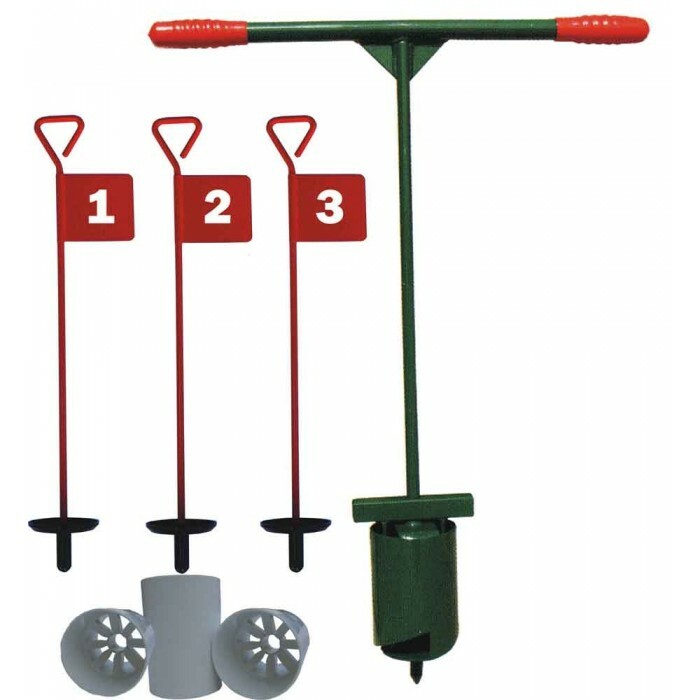 3 regulation sized plastic golf hole cups.